What do you wear in a hurricane, the likes of which hasn’t been seen in New York City since Hurricane Donna in 1960? Well, not a hat, I can tell you that much. So I’m glad I was able to get these pictures of myself for “How I Wear My: Hat” before Hurricane Sandy came and I was glued to the TV watching news of the storm. I never think of myself as a hat person but I may have to reconsider because I love how the addition of a hat can complete a look. Just not in a hurricane. As you already know, parts of New York, Connecticut, and especially New Jersey have been devastated because of Hurricane Sandy. The words of Fiorello LaGuardia, who was mayor of New York City from 1934 to 1945, are once again so true. He said the two qualities New Yorkers would need to get through the Great Depression were Patience and Fortitude. We will need these qualities in droves to get through the tough days and months ahead. To tell you the truth, I am pretty depressed because of all the storm destruction I’ve heard about and seen, but these beautiful ladies in hats help cheer me up. Aren’t they lovely? 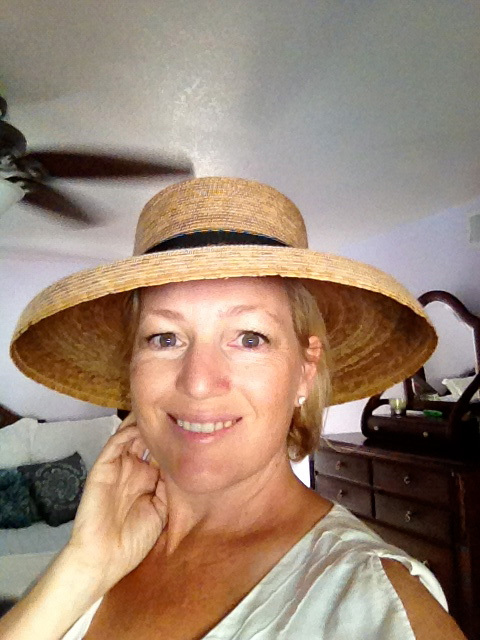 Adrienne of The Rich Life (on a budget), gorgeous in her sun hat while in Kauai! Catherine of Not Dressed As Lamb. I love this look! Sara of Searching for Saraspunza. 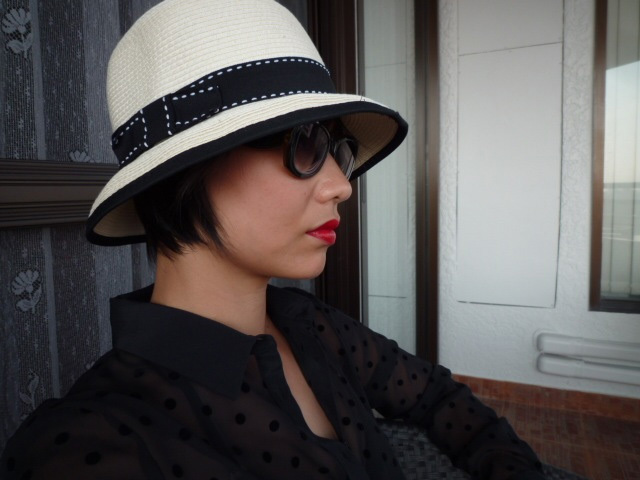 I especially like the brim of this straw hat! 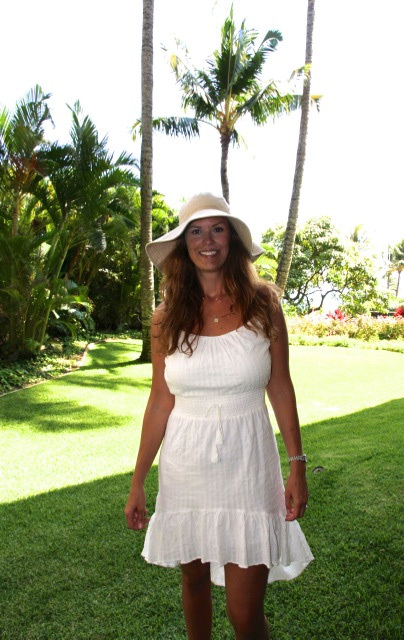 Jeannie of Gracefully 50 looking smokin’ hot in her hat! And her shades are off! Hang of POUM! La Mode. I love every bit of this look. Do join Adrienne and me for the last roundup of the year for “How I Wear My: Plaid.” It will help you get in the holiday mood and plaid is just plain fun! Send a picture to either of us by December 3, 2012. And stop by to see what other looks in a hat Adrienne has put together. Thanks to the fine foxes who participated this month. P.S. If you can, won’t you make a small donation to either the Salvation Army or the Greater New York chapter of the American Red Cross? They’ve both been out in hard hit areas of all five boroughs and Long Island, giving clothes, water and hot meals to New Yorkers in need. Sorry, I had no hat...but I agree these ladies look fabulous as you do, Jill! I am glad you are safe, but I understand how incredibly hard this will be. The pictures are gripping. My prayers are with everyone up there and I only hope recovery will go faster and smoother than expected. Just take one day at a time, and if you want to get out of town, my door is always open in South Texas! I'm so glad you and yours are safe! You are wonderfully chic in your black hat! Love the color of your sweater, too! I personally am not a hat person but all these women look fabulous in their hats. Hang in there, Jill. Your lipstick looks smashing. I am so happy an relieved that you and your family are okay. You look very, very chic in your hat, scarf and cardi. Everyone looks great in their hats! Thank you for putting this together. Looking forward to plaid next month! Oh how I wish I wouldn't have missed this one! LOVE love love hats. All of these ladies look so beautiful. Glad to hear you are ok, the storm was vicious and all the damage caused was awful. 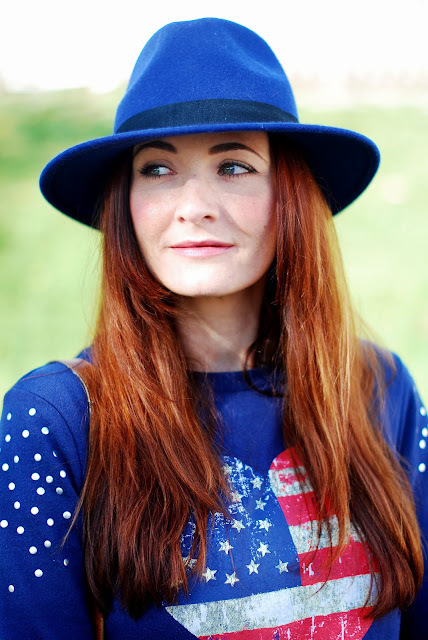 Loved all the hats and the blue cardigan looks great on you. I adore hats and have a large collection. I rarely pass up a hat if I see one I like. However I agree not in a hurricane or during the mistral for that matter. Love your fuzzy hat Jill. So glad to know that you are safe! Love your hat! You rock and so do all the friends you are showing photos of. Many decades / centuries ago, when I used to work two blocks away from the Galeries Lafayettes in Paris, I would go EACH lunch time at the hat section and try hats and hats... A woman + a hat + a scarf (bien sûr): this is the winning combination. Your hat is so cute! Plaids I can do! I'm glad to hear that you survived the storm...and perhaps you should consider a trip to visit one of your readers if it all gets you down too much. Jill you look great as always! Good to know that you and your family are safe. It's scary watching the news on TV, remind me of the flood we had in Thailand last year, same period. Thank you for putting this post together despite your difficult situation. Been thinking about you- I hope your spirit rises- and the east coast recovers from the superstorm. I also wish I had sent a photo- hats I adore and these ladies look sooooo chic! I love Poum's look. I need to get in on the plaid action.